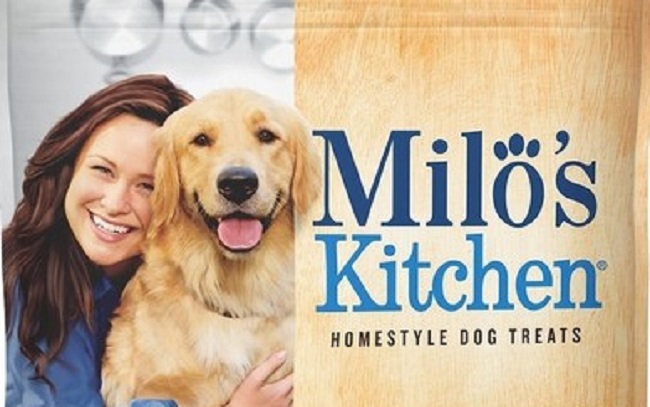 Some lots of two varieties of Milo’s Kitchen dog treats sold nationwide are being voluntary recalled because they may contain elevated levels of beef thyroid hormones. Parent company J.M. Smucker announced the recall March 22, after it was informed by the U.S. Food and Drug Administration that three dogs became ill after eating the products. Dogs who eat a high level of beef thyroid hormone can show symptoms including increased thirst and urination, increased heart rate and restlessness, and weight loss. If dogs continue to eat the recalled treats, they could experience vomiting, diarrhea, and rapid or labored breathing, and should be taken immediately to a veterinarian. If you purchased one of the recalled products, stop feeding it to your dog. To receive a refund or a coupon for a replacement product, call 888-569-6767, Monday through Friday between 9 a.m. and 5 p.m. Eastern time, or fill out this online form. Just one month ago, J.M. Smucker voluntarily recalled 31 varieties of Gravy Train, Kibbles ‘N Bits, Skippy and Ol’ Roy canned food from stores nationwide after traces of the euthanization drug pentobarbital were discovered in 60 percent of the Gravy Train canned products tested by ABC7 in Washington, D.C. 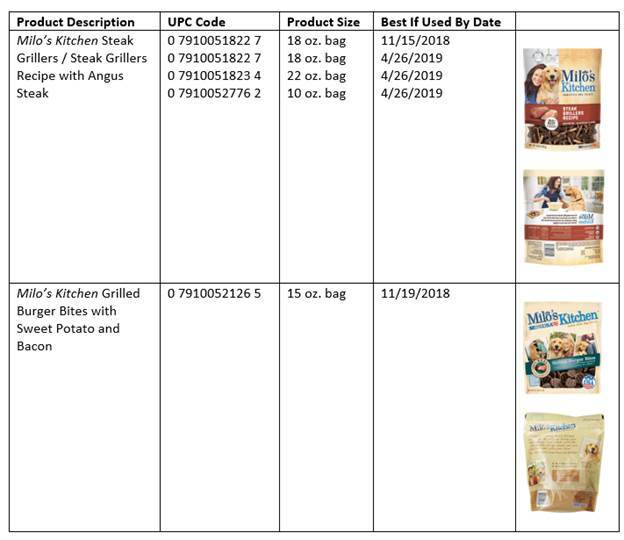 In January 2013, some lots of Milo’s Kitchen Chicken Jerky and Chicken Grillers dog treats that were manufactured in China were voluntarily recalled because they contained traces of poultry antibiotics that aren’t approved in the United States. The Clean Label Project, a nonprofit that tests consumer products for harmful contaminants and toxins, gives Milo’s Kitchen only one out of five stars for ingredient quality. You can check out the ratings of other pet food brands on its website.